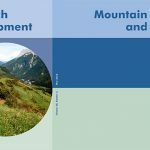 Our fellow Mountain Partnership colleagues Mountain Research and Development (MRD) have released a new volume. This issue offers 14 peer-reviewed articles focusing on questions related to water, risk reduction, energy, land use change, biodiversity, vegetation ecology, conservation, gender policy, ethnobotany, indigenous knowledge, economic opportunities, mobility, and glacier monitoring—always with sustainable development in mind. 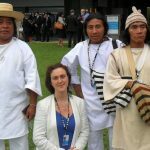 This broad and often integrative thematic coverage, calling upon a number of disciplines, is relevant in the context of the recently adopted UN resolution 71/234 on “Sustainable Mountain Development”. Geographically, papers present insights from Nepal, China, Thailand, Kyrgyzstan, Poland, Switzerland, Italy, Ecuador, and Colombia.